Normally when I hear about events from a company or even big deal limited series, I tend to role my eyes. Recently, the majority of these have been lackluster and don’t live up to hype. The exception is anything done by Valiant, whose events and limited series (like this one) are not only organic, but enhance the greater world. It’s a company who really thinks through how things connect, not forcing anything, and it shows. The Valiant seems to be a continuation of that. It again brings together some of the bigger characters of the Valiant universe, and focuses on the mysterious Geomancer, a rather new individual to the role. The first issue jumps through time from the Eternal Warrior’s perspective showing us his failures over and over setting up what’s to come and having us the reader actually question whether he’ll succeed in his role as the protector of the Geomancer. I honestly don’t know if the good guys will completely succeed here, and sowing that doubt is a success by the writers. As expected, the art is solid for the first issue, continuing the company’s success in matching talented artists with writers to give us beautiful comics to look at, and fun stories to read. 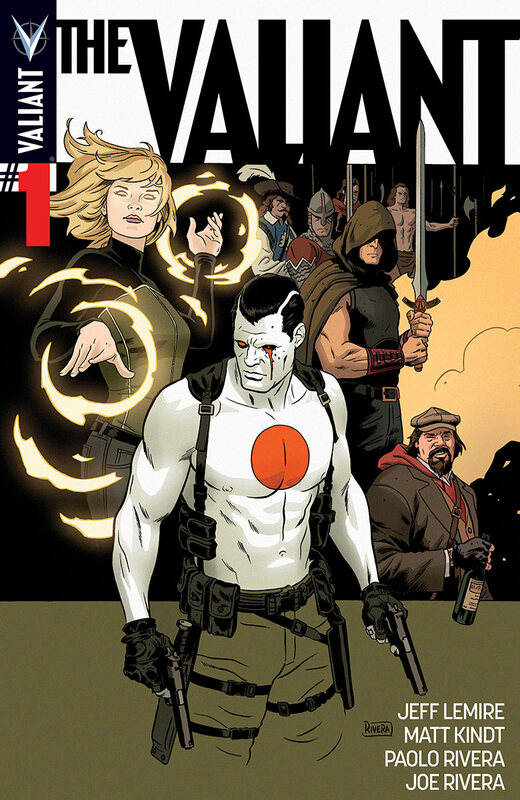 The Valiant hits in December, and this is a four issue limited series that’s perfect for folks who might want to see the style of comic that Valiant has to offer. Here’s looking forward to see where it goes and what Valiant has in store next!